One Man's Ramblings, v.2: Life moves pretty fast. If you don't stop and look around once in awhile, you could miss it. Life moves pretty fast. If you don't stop and look around once in awhile, you could miss it. 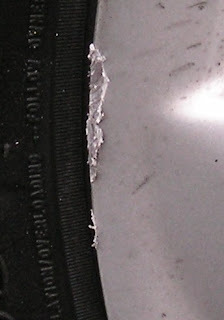 So, I've previously written about the stress and despair I felt due to my job and car troubles. This is the flipside, and where there are slight troubles, they are the troubles anybody would wish to have. I've already written about the car. Yesterday I mailed in my first-ever car loan payment. 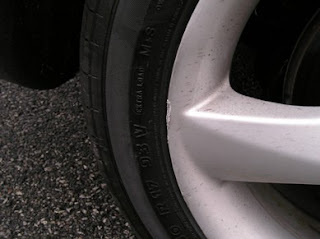 Maybe 15 minutes later, I left the house to run an errand, and cut a corner too sharply, scuffing one of my rims against the curb. It's a blemish nobody but me will ever notice, but was frustrating all the same, considering it's not fixable, realistically. Put the two events together, and I conclude the car's really mine now. A little over a month ago, on the day before Thanksgiving, I went on a job interview. I thought the interview went well, and at the end, the people I interviewed with (the co-founders of the company) explained that they weren't looking to hire immediately, but maybe sometime in January or February. I liked the company and what I'd be doing, and wanted this job. Hearing nothing back from Company A, I continued searching, and landed another interview. This interview took place this past Thursday (Dec. 21). The job was slightly less apealing, farther away and would impose NJ Garden State Parkway traffic on me, but was still acceptable, and I thought I may have a shot at this position. I've not heard back from Company B, but it's only been 2 days and they said they'd probably call me back after New Year's, so it's still a possibility. Yesterday, around 1:00pm, Company A called me back, and asked if I could come back to meet with them again, this Thursday. Company A being my first choice, I of course said yes, and scheduled a meeting. I'm not a schmoozer, and feel very self-conscious when trying to 'sell' myself. So when I try to network and tell people I'm looking for a new job, here's my resume, please pass it on, etc..., I feel very uneasy. However, about a month ago I began doing that whenever and wherever possible. Last night, some of my awkward and uncomfortable networking paid off. Around 8PM I received 2 emails, one from an acquaintance I'd networked with, telling me of an opening at Metrowest, a United Jewish Federation office fairly close to my home, and the other from the CIO at the Jewish Federation, telling me of the same position. I immediately replied to the CIO and attached my resume, and via a couple of more emails, arranged an interview for this Tuesday. To sum up, I've got a call back on Thursday for Company A, my previous first choice. I've got an interview lined up for Company C, potentially a new first choice. And I may or may not get a call back from Company B, an interesting, and not much down the list, second choice. My trouble now is trying to decide which job I prefer, assuming I get to pick and choose. I should always suffer such choices! Google Analytics is N E A T NEAT!!! Got my camera back today! More bits and pieces floating in my muddled mind.